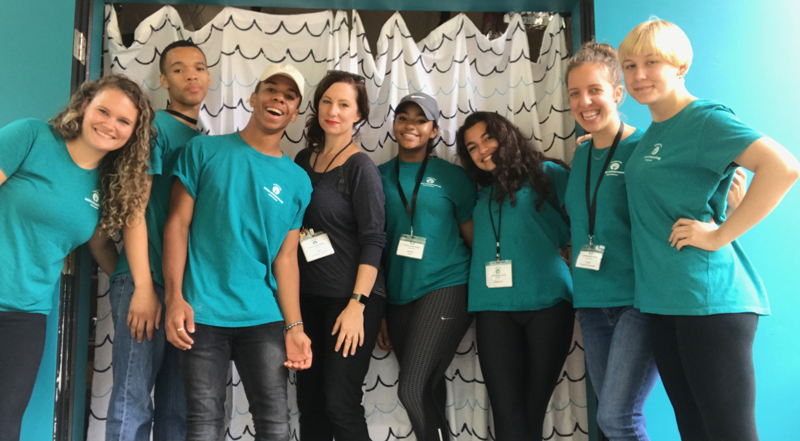 The Downtown Providence Parks Conservancy is pleased to announce that Program Director Jen Smith has been invited to sit on the 2018 Southwest Airlines Heart of the Community Cohort Advisory Committee. Jen on the deck of the Imagination Center with Summer 2017 staff. When the DPPC received its Heart of the Community grant a few years ago, our programming team, under Jen’s direction, was able to take our free summer programming to the next level. Through the building of the Imagination Center and a substantial investment in staff, supplies and equipment, a transformation occurred in Burnside Park, the effects of which continue to be felt. These individuals were chosen based on their diverse experience, backgrounds and expertise. Congratulations to Jen for this well deserved acknowledgement. We know her years of knowledge gained in Burnside Park will be a valuable resource to her peers, and will help spread the word of all everything happening in Greater Kennedy Plaza.